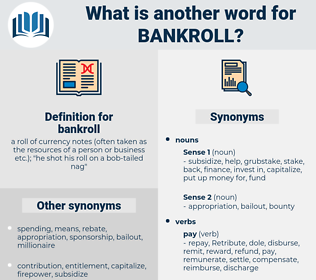 What is another word for bankroll? 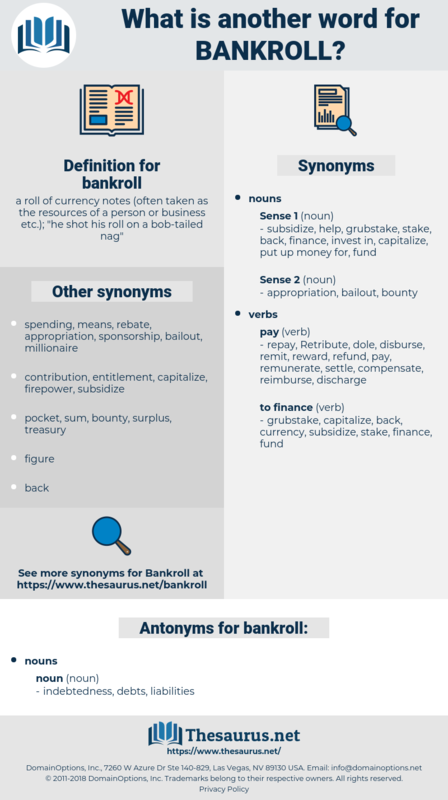 a roll of currency notes ( often taken as the resources of a person or business etc. ); " he shot his roll on a bob- tailed nag"
finances, funds, cash in hand, monetary resource, pecuniary resource.